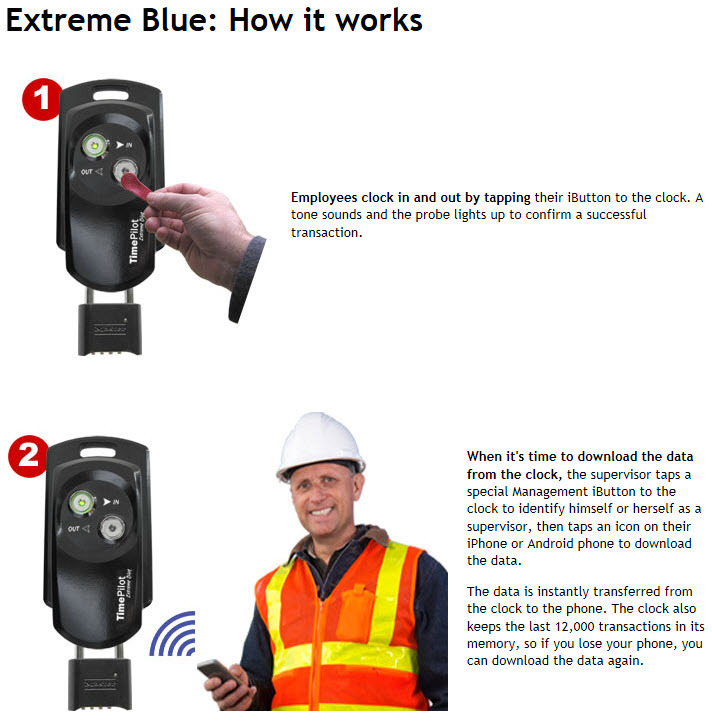 TimePilot Extreme Blue self-contained contractor site employee time clock system. 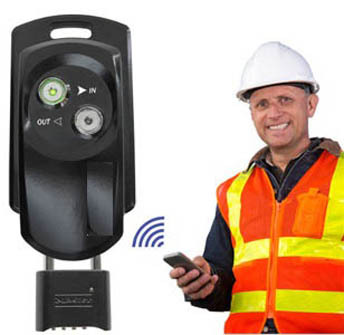 Bluetooth wireless technology. Works with all other TimePilot systems. Read more, here. Think you're tough? Try this. Rugged and weatherproof. 2,000 employee capacity. Power: Four AA batteries. 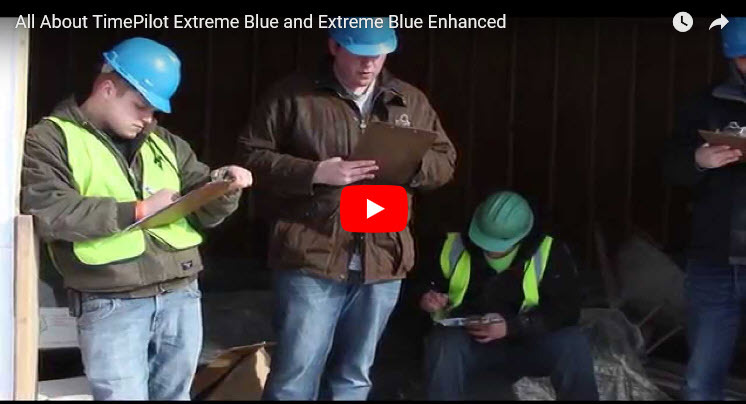 Extreme Blue "Prints" to your cell phone screen, all edits, etc are done on your cell phone. Upgrade when you need to to Enhanced, then you can send the punch records, all that, via your cell phone to the Cloud, to your computer where you have the software back at your desktop Windows PC. 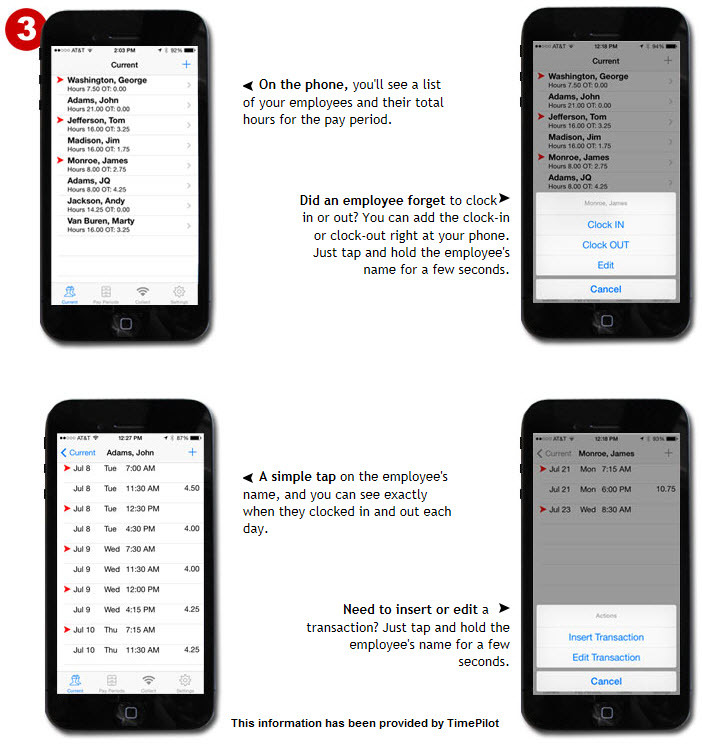 Easily upgrade path to TimePilot Enhanced, with no annual fee cloud software. The TimePilot Extreme can handle blizzards! Click on this line to download this article.